Guerlain Terracotte Pause d'été bronzing powder duo is a limited edition powder launched by Guerlain for 2016. 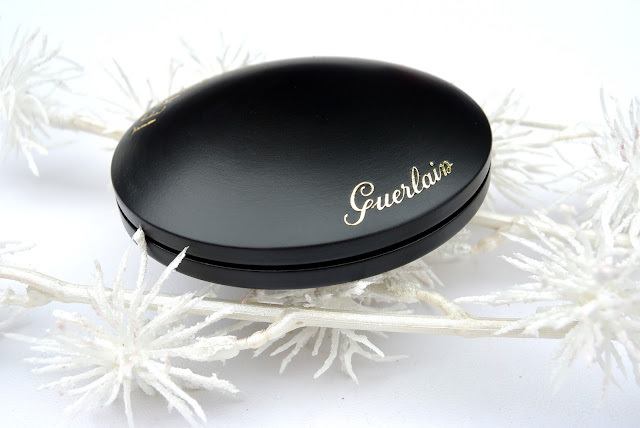 Today I am reviewing this limited edition powder by Guerlain. The powder is packaged in a wooden compact. This packaging gives me an incredible luxurious feeling. A wooden packaging is more sustainable than a plastic one. 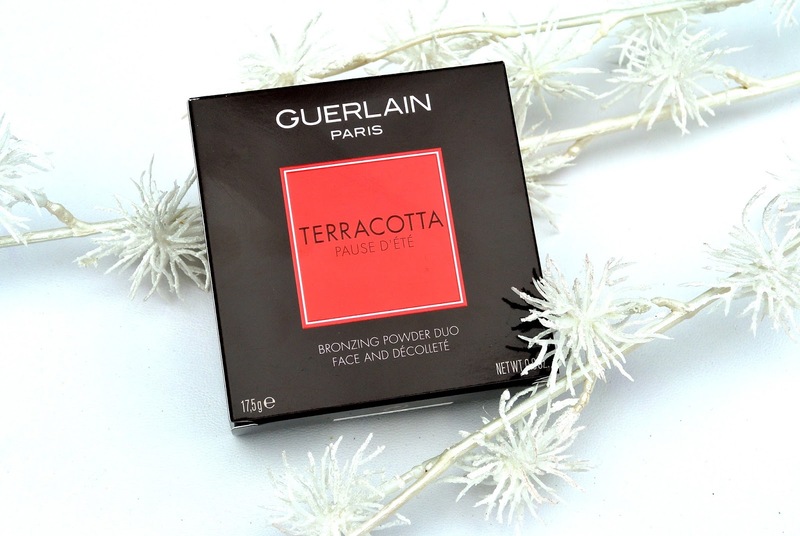 Guerlain used wood from PEFC approved sustainably managed forest, for this effort, Guerlain gets a thumbs up! To open op the compact, you have to turn a little with the upper lid and then the magnets aren't holding the two lids together anymore, now you can open up the compact powder. The powder is perfumed with some notes of orange blossom, vanille, tonka bean and white musk. The perfume comes out really good because there's a lot of fragrance added to this powder. 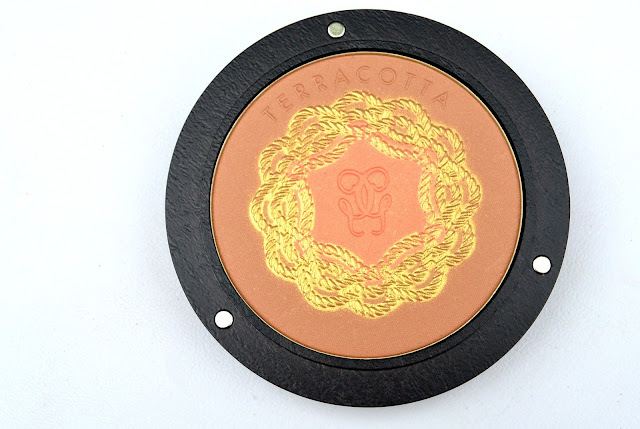 a combination of the best selling Terracotta shade 03, which naturally warms all complexions, and the it-colour for summer, a pink with a slight gold shimmer, to illuminate the tan. 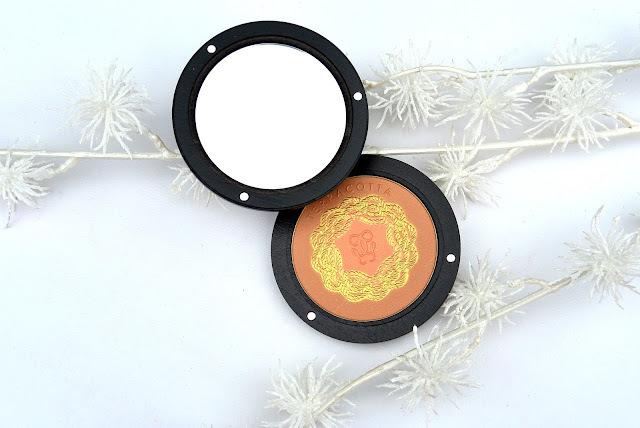 The powder can be used all over the face, but also on your decolleté. or you can use the colours separately to achieve the desired intensity. 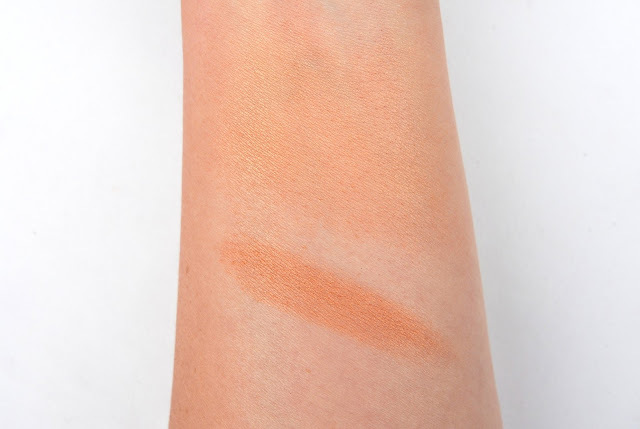 If you use a small brush, you can also use these shades separately as a bronzer, highlighter and a blush. I prefer blending the powders together as one. 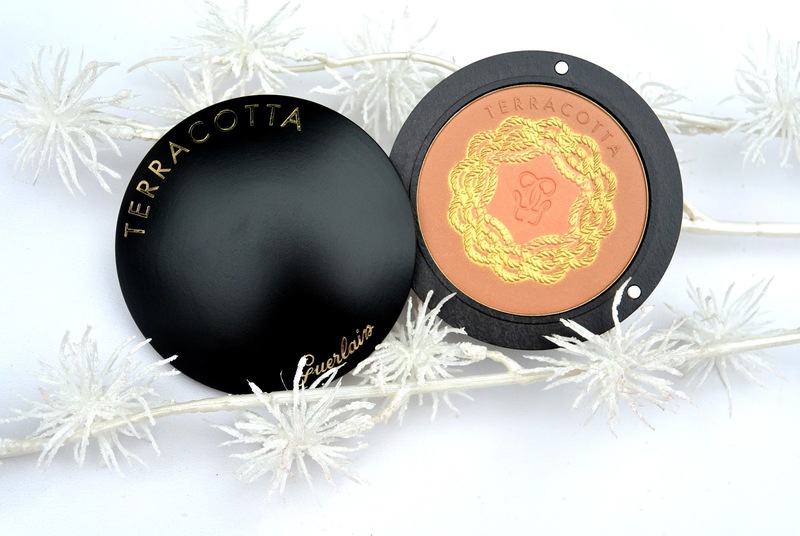 The Terracotta powder applies very easy on the face because off its smooth texture. It also blends out very good as you can see on the picture above. And most important of all, the powder stayed right in place an entire day! So its durability is also very good (as we expect while using Guerlain products). 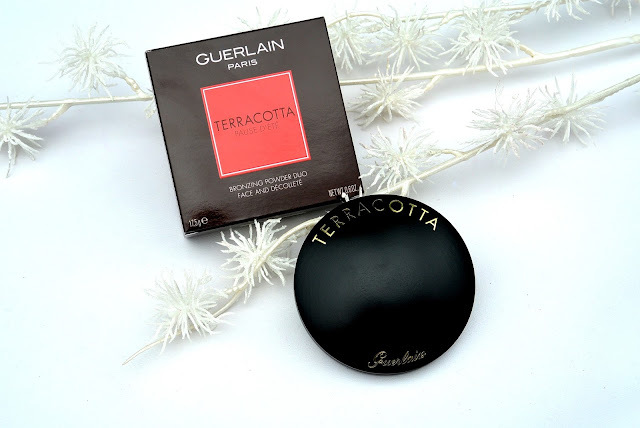 I am absolutely loving this Limited Edition powder by Guerlain. Wow deze bronzer is echt prachtig, ik wel hem !! Prachtige bronzer, ik zou hem te mooi vinden om te gebruiken! 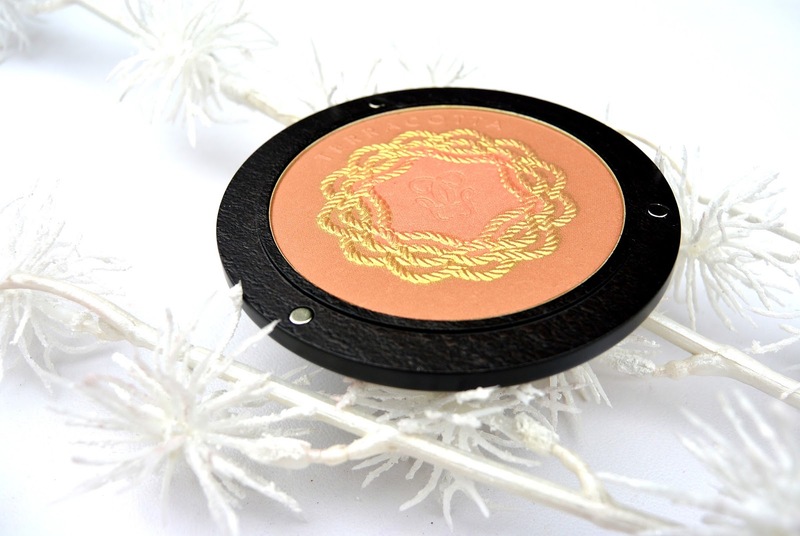 Such a great review -- LOVE bronzers! It looks so pretty! Awesome review! Wat een prachtig product zeg! Love the design and pretty color! Que lindo esse bronzer, adorei e desejei um desse pra mim. Isn't this one just gorgeous, I love Guerlain. Wow, I really should try it out! Ik wil die oooook, zo'n mooie verpakking!